A lot has changed since the Cooperative Institutional Research Program (CIRP), part of the Higher Education Research Institute at the University of California at Los Angeles, issued its first annual Freshman Survey 45 years ago. The forthcoming report reveals that today’s freshmen are more concerned about the financial benefits of a college education than their counterparts of four decades ago. 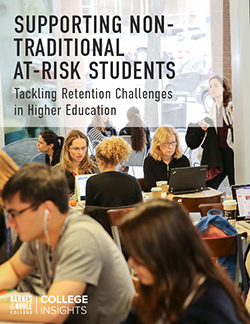 John H. Pryor, director of CIRP, disclosed some key findings of the soon to be released report at the annual meeting of NASPA – Student Affairs Administrators in Higher Education. The upcoming annual Freshman Survey will also include an examination of 45 years of responses, which finds that freshmen are now more racially and ethnically diverse, have higher expectations for the college experience, and are increasingly interested in pursuing graduate degrees. Although times have changed, some answers have remained relatively unchanged since the survey began polling students in 1966. 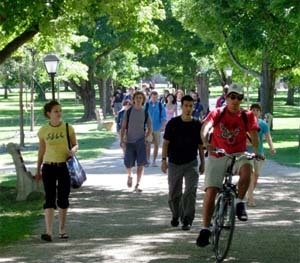 For instance, a school’s academic reputation has remained the most important factor for students when considering where to go to college. 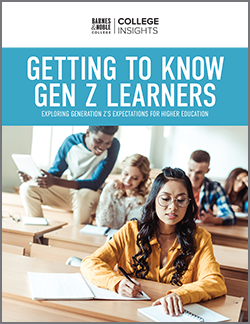 Other important considerations that influence where students decide to go to school are a college’s reputation for helping students land well-paying jobs after graduation and the amount of financial aid students receive. In the early 1970s, approximately 20 percent of freshman claimed a financial-aid offer played a significant role in their college decision compared with almost 40 percent of students in the most recent survey. Students are using more sources now to pay for college and relying more heavily on student loans. They are also more likely than ever before to have at least one parent who is unemployed. Only 20% of freshmen now think his or her postsecondary education will end with a bachelor’s degree (compared to 60% in 1972). Today, 42% hope to obtain a master’s degree (up from 32% in 1972). Although business continues to top the list of desirable careers, more students now aspire to careers in science, technology, engineering, and mathematics. The percentage of students who have reported drinking beer, wine, or liquor during their senior year of high school has dropped steadily over the decades. In 1984, about 70% of students said they drank in high school, which dropped to 40% by 2011. Students’ self-rated emotional health is at a record low, with respondents more likely now than in previous decades to say they are overwhelmed, stressed, or depressed. The full report will be available later this spring.